Even though it happened over a year ago, I remember Anderson Silva’s leg snapping around Chris Weidman’s knee as well as I remember any moment from last week’s UFC 182 pay-per-view. From Silva dropping to the ground and screaming in pain to Weidman’s immediate raising of his arms in celebration after defeating the greatest fighter of all time twice in less than a calendar year, the memory sticks out as clearly as anything I’ve witnessed in my 10 years as an MMA fan. 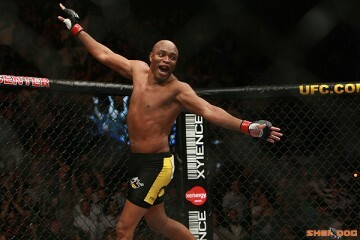 But the thing I remember best about that moment — more than the visual of Silva’s leg bending around Weidman’s, and even more than hearing Silva screaming in agony on the mat clutching what was left of his leg — is the thought that crossed my mind as soon as I realized what had happened: That was the last we’ll ever see of the real Anderson Silva. The thought has lingered in my head over the past 13 months, too. I never really doubted that Silva would return to the Octagon. 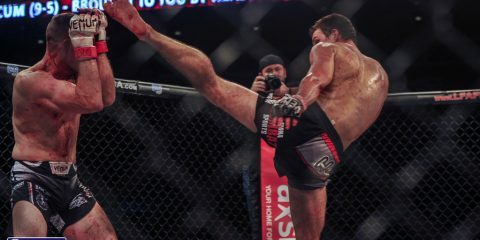 Even though he was 37 years old and had accomplished double the amount of things needed to be considered a legend in this sport, the way that Silva continued to carry himself as if his career was far from over made it pretty clear that he wasn’t going to be hanging up his gloves any time soon. On top of that, with as much pride as a competitor as Silva has, it seemed extremely unlikely that he was would allow the visual of him writhing in pain on the canvas to be the final moment of his UFC career. However, at the moment that Silva’s leg snapped, I had an overwhelming feeling that we’d just witnessed the beginning of the end of the greatest career in our sport’s history. For only the second time in an almost decade-long UFC career, Silva will walk to the cage this month with no belt around his waist and no gold on the line, period, when he fights Nick Diaz at UFC 183. He’s not a champion looking to defend his throne. He’s not the top contender looking for a chance at redemption. 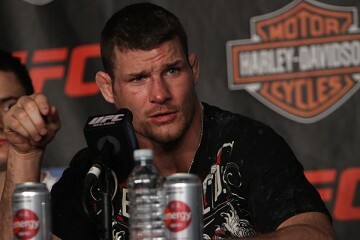 He’s just a UFC superstar that’s happens to be popular enough that he doesn’t need his belt to headline a major event. To be honest, it feels weird. It probably should. After all, it took a little while to adjust to seeing Michael Jordan in a Washington Wizards uniform too. But, at this stage of his career, this is exactly where “The Spider” needs to be. UFC President Dana White has already announced that Silva is likely going to get a crack at regaining his belt with a win over Diaz this weekend, and when you look at “The Spider’s” resume, it’s pretty easy to come up with reasons as to why he should jump to the front of the pack even without having to pull the “GOAT” card. 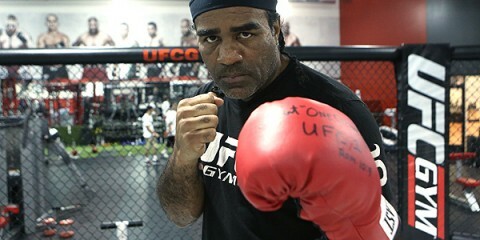 On paper and in highlight reels, Silva sticks out far and above the rest as the most talented contender in the division. Furthermore, considering the way his last title fight ended, it’s not hard to see why the UFC already has a rematch in its sights. The problem is, it isn’t until you throw the numbers and the past accomplishments out of the window that the reasons not to insert “The Spider” directly back into the title mix become clear. It’s time to stop looking at Silva, the legend, and start paying attention to Silva, the man. The things the former UFC middleweight champion has accomplished over his career are incredible. He practically has his own chapter in the UFC record books. He’s commonly referred to as the greatest fighter of all time, and his highlight reel is better than the combined reel of the majority of the middleweight division. But, Silva is almost 40 years old and he’s been competing in MMA for damn near two decades. Even before Silva lost to Weidman twice, fans had to sense the end to his dominant career was near, and after coming off the most infamous and brutal injury in the history of the sport, the possibility of Silva never fighting again seemed like a very real question at one point. There’s a good chance that the Silva we see later this month is a step behind the fighter we’ve grown accustomed to in the past. Even if it does look like the same old Silva on Jan. 31, it’s still going to be hard to truly believe that “The Spider” is back. Both the brutal nature of his injury and Silva’s age are going to cause a lot of questions regarding the physical strength of that leg in the future, regardless of what happens against Diaz. The physical damage doesn’t even compare to the toll a debilitating injury like that can take mentally. Expecting both Silva’s mind and body to be back to 100 percent just one fight removed from such a devastating injury is asking a lot of the former champion, and it would probably be in Silva’s and the UFC’s best interest to let the former champion’s confidence and strength grow in his leg before throwing him right back to the wolves. Adding to the reasons not to throw Silva right back into a title fight is possibly the best reason of all: the UFC really doesn’t need him in that role right now. Silva may be the biggest star in the middleweight division, but that weight class isn’t exactly hurting for top contenders at the moment. The UFC can easily afford to let “The Spider” get a second fight under his belt before sending him in pursuit of the champion. Outside of Weidman and current No. 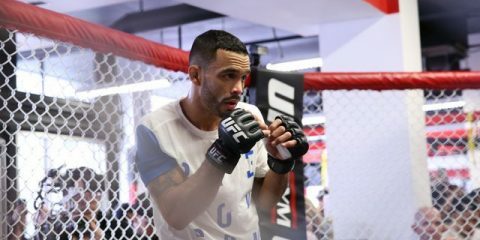 1 contender Vitor Belfort, there are still four other fighters sitting directly in the mix for UFC gold. Since those four men have already been paired up to fight in early 2015, we should have two other title contenders other than Silva by the end of April. Between the UFC 184 fight between Ronaldo “Jacare” Souza and Yoel Romero and the UFC on Fox match-up featuring Lyoto Machida and Luke Rockhold, there’s no doubt that at least one of these four combatants will make a strong claim for a middleweight title shot ahead of Silva. Even if Silva soundly defeats Diaz, Silva’s recent resume is going to pale in comparison to what any one of those four fighters have done over their last few fights once they’ve added another victory, and it honestly makes more sense to ask Silva to fight another top contender instead of handing him a title opportunity. Don’t get me wrong. Under the right circumstances, I’d love to see Silva get another shot at regaining his throne, especially if that opportunity happens to come against Weidman. However, I just don’t want the UFC to rush into it if Silva’s not going to be the Silva we all remember, and I’m not convinced a single victory over a fighter who has been on the sidelines even longer than Silva is enough to prove “The Spider” is still in top form. That nagging thought that’s been in my head since UFC 168 — the one that says that we’ve seen the last of the Silva that dominated the UFC for almost a decade — is still there, and it’s still feels like a very real possibility. If the UFC rushes Silva back into a title fight before giving him a couple of fights to prove he’s back to form, it’s highly likely that the possibility is going to become something far more concrete.